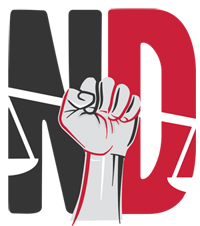 The Nashville Defender staff is a mix attorneys, investigators, paralegals, social workers, law clerks, and others all dedicated to the making the ideal of equal justice for our clients a reality in Nashville. Throughout the year, we also benefit from the work of interns and students who come to us from various programs. For more information about student and internship opportunities with our Office, click here. When non-attorney employment opportunities become available, we post them here, and with other relevant organizations and recruiting sites. If you don’t see a posting here, we are not currently hiring for that position. Interested applicants are welcome to submit a resume and cover letter to the Public Defender explaining what position they are seeking should an opening occur. If you are an attorney or graduating law school student interested in working for the Office, we accept applications year round, and hire as positions become available. We also hire law school graduates who are seeking admission to the Tennessee bar and qualify for supervised practice certification under Tennessee Supreme Court Rule 7. A few words about 3L hiring: Unlike larger public defense systems that hire new “classes” of attorneys once or twice a year, we typically hire as positions become available — most often due to turnover. That means we usually are not in a position to make job offers to 3L students early in the year. Despite this challenge, we value a diverse attorney staff, and have been able to hire talented students from law schools across the country. Fellowships and law school stipend programs can help bridge the gap between graduation and an open position, and we encourage students to explore those options. We also suggest student apply as early as possible in their 3L year. Attorney and graduating law student applications should include a resume and cover letter. You may also include a short writing sample, law school transcript and/or references. Send your application materials to Martesha L. Johnson, either by email to NDApplicants@jis.nashville.org, or by mail to 404 James Robertson Parkway, Suite 2022, Nashville, TN 37219. If we are not hiring when you submit your application, you can expect to receive a letter notifying you that we received your application, and will contact you if you are selected for an interview. Volunteer attorneys: We occasionally receive inquiries about attorney volunteer opportunities with the Office. Due to space and staffing limitations, we are not able to accommodate all such requests. If you are an attorney interested in volunteering with the Office, you should explain that in your application, and we will evaluate that with the rest of your application.